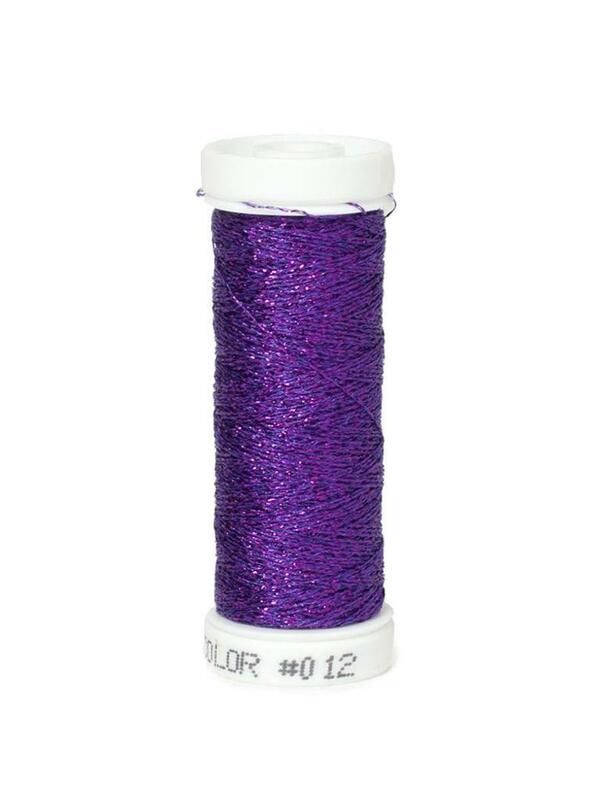 - A fine, sparkly metallic thread in a wide variety of colors. - Is not slippery to use in hand embroidery. - Also known as a blending filament, when used in the same needle with silk or cotton it bonds to whatever else you put it with. - Several plies can be put together in the same needle to achieve desired coverage on fabric or canvas. - Permanently marked spool means you always know what color you have. - Available in 50 meter spools.